This book advances our understanding of resource-dependent regions in developed economies in the 21st Century. It explores how rural and small town places are working to find success in a new economy marked by demographic, economic, social, cultural, political, and environmental change. How are we to understand the changes and transformations working through communities and economies? Where are the trajectories of change leading these resource-dependent places and regions? Drawing upon examples from Canada, USA, UK, Australia, New Zealand, and the Nordic countries, these and other questions are explored and addressed by constructing a critical political economy framework of resource hinterland transition. 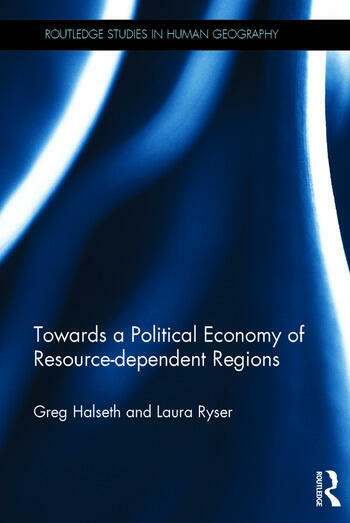 Towards a Political Economy of Resource Dependent Regions is a key resource for students and researchers in geography, rural and industrial sociology, economics, environmental studies, political science, regional studies, and planning, as well as policy-makers, those in industry and the private sector, and local and regional development practitioners. Greg Halseth is a Professor in the Geography Program at the University of Northern British Columbia, Canada, where he is also the Canada Research Chair in Rural and Small Town Studies and Co-Director of UNBC’s Community Development Institute. His research examines rural and small town community development, and local and regional strategies for coping with social and economic change. Laura Ryser is the Research Manager of the Rural and Small Town Studies Program at the University of Northern British Columbia, Canada. Her research interests include small town community change, institutional barriers to change, building resiliency to respond to restructuring trends, labour restructuring, and rural poverty.